Use Finger Spinners to cope with anxiety and stress. 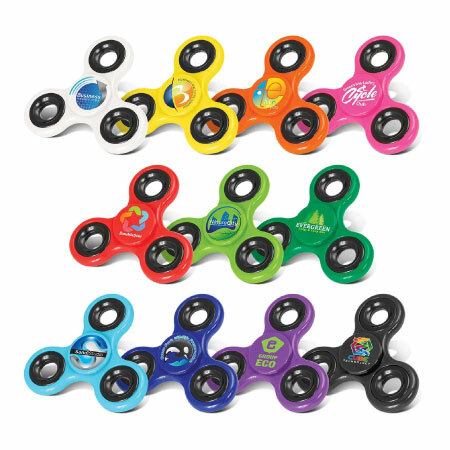 Fidget spinners have rapidly risen to prominence, leading Forbes magazine to label them the must-have office toy in 2017. Prices include decoration as specified and all set up costs. GST is additional. Delivery if required, is extra and charged at cost. Larger quantities are available, please contact us for our best prices. Above prices assume artwork will be supplied in correct format.